If you have identified mold in your home or business, do your best to stay out of the area. 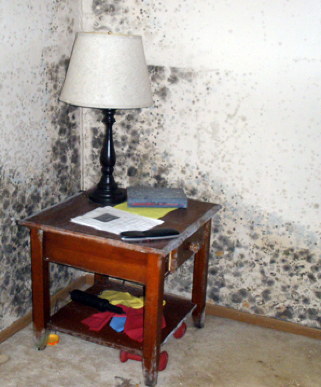 Mold can be a very serious concern because it carries both health risks and it can damage structures over time. 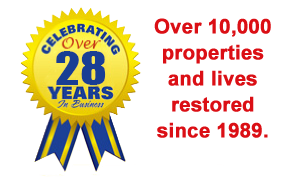 Proper mold remediation involves controlled demolition and safe disposal of mold contaminated materials as well as thorough cleaning and sanitizing of any affected areas. A variety of other techniques appropriate to the project conditions may be required. This is why the problem should only be restored by a mitigation professional like ICC. We have over 20 years of experience in handling situations like these and will help you get back to normal as quickly as possible. Call our 24-hour emergency line – 888.739.4289 – and we’ll be on our way fast. Until we arrive, here a few helpful steps you can take to minimize further damage and expedite the remediation process while waiting for us to arrive. Do not attempt to eliminate the problem with bleach. Doing so will only give a cosmetic solution to the problem. Most molds are not immediately harmful, so don’t panic. Reactions to mold vary greatly from person to person. Turn off the heating and air conditioning system and make sure it remains off until the damage can be inspected.